Men’s volleyball player Ben Brody tells Special Olympics College how volunteering alongside VC athletes at the Special Olympics “sold” him on Vassar. Mariah Caballero ’19 leads study finding link between herbicides and Parkinson’s disease. Bloomberg News profiles Gang Zhao ’88, who went from the world of finance to a thriving art practice. Professor of Religion Marc Epstein to create Passover Haggadah with students in “intensives” course. The New York Times recently praised the novel Instructions for a Funeral: Stories by Visiting Associate Professor of English David Means. Vassar was mentioned in a Poughkeepsie Journal story about the Special Olympics Summer Games, to be played at various campus locations. 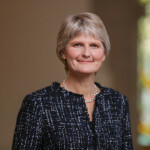 President Elizabeth Bradley talks to Indiana Public Radio about her education, her career, and the efficacy of the liberal arts. Studies have shown that gratitude can activate a host of benefits for our physical and mental well being. 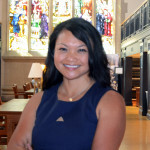 Michele Tugade ’95, Professor of Psychological Sciences, does research in positive psychology. She writes about the ripple effects of being grateful in Thrive Global. President Bradley writes in defense of the “practical humanities” in the current issue of Inside Higher Education. The practical humanities prepare students for the challenges they will confront in their professional, political, social and cultural lives, argues Elizabeth H. Bradley. 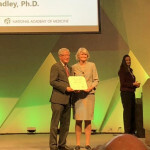 President Elizabeth Bradley inducted into the National Academy of Medicine. The National Academy of Medicine (NAM) today announced the election of 70 regular members and 10 international members during its annual meeting. Election to the Academy is considered one of the highest honors in the fields of health and medicine and recognizes individuals who have demonstrated outstanding professional achievement and commitment to service.